TCL’s 65-inch, 4K TV is a great bargain. The 65-inch offering of the Chinese brand has many of the same headline features as its other, more expensive competitors: a large, 4K UHD panel, a bezel that’s less than 5mm, HDR compatibility as well as Smart TV functionality. For something that offers so much, TCL’s sticker price of Php 77,795 certainly sounds like a bargain. It’s the biggest member of TCL’s P6 TV line, coming in at a whopping 65-inches. It’s so big that we had to find to clear a bit of space in our bedroom to make it fit. For people who don’t have as much space, they might want to consider opting for the smaller models, as the panels used in the smaller models are virtually identical in features and specs. We didn’t have enough space to take nice, actual profile shots of the product, so we’re using stock images of the TV in this review. It looks pretty nice as budget models go. The P6 has this minmalistic design that I like very much, as the TV doesn’t have unecessary frills like gaudy lights surrounding it to distract you from its elegant stance. The front bezels are treated with a glossy finish, while the rear has a matte black finish. The TV has a pretty thin profile that gets thicker the lower down the chassis you get. The body of the TV is just 9.8mm thick at its thinnest point, though its fat bottom negates this a little bit. There’s no way to wall mount this monster (at least none that we could find), so you’ll be using its built-in stand in your home if you decide to buy it. The P6 and its brethren are non-curved models, which is a bit of a bummer but honestly, the TV’s other features negate that little niggle. The bezels of the P6 are incredibly thin, at less than 5mm (4.8mm to be exact). When the TV is on the bezels seem to disappear into the background, leaving you with a massive 65-inch panel. The only thing that breaks up the design of the TV is the power switch. Not too difficult actually. The hardest part is finding enough room in your house to put the TV in. We’ve said it before and we’re saying it again: people with small spaces and studio apartments may want to buy a smaller model and not the 65-inch monster we reviewed. The 65-inch model is both WiFi-capable and has an Ethernet port, so you can connect it to your home network however you like. We opted to use a LAN cable to plug it into our Fibr connection though, just so we’re getting the best speeds possible for streaming. At the rear you get three HDMI ports plus two USB ports, along with connectors to plug in audio like amplifiers and speakers. Pretty easy. The P6 has smart TV functionality, using its own OS based on Linux that’s quite easy to navigate. You can browse YouTube and connect to the web via its own browser, as well as download additional apps to increase functionality. But most of the time you’ll be binging on Netflix since the TV has the app pre-installed. That’s where the majority of our time with the P6 was spent, just jumping from one movie to another. It’s pretty good. The P6 has most of the features you’d expect from a top-tier model, namely 4K resolution, upsampling of images from 2K to 4K, HDR 10 capability and a refresh rate of 60Hz. Colors are nice and even, though there was a bit of cloudiness at the corners of the TV during really dark scenes, but you’ll really have to look for it to notice it. 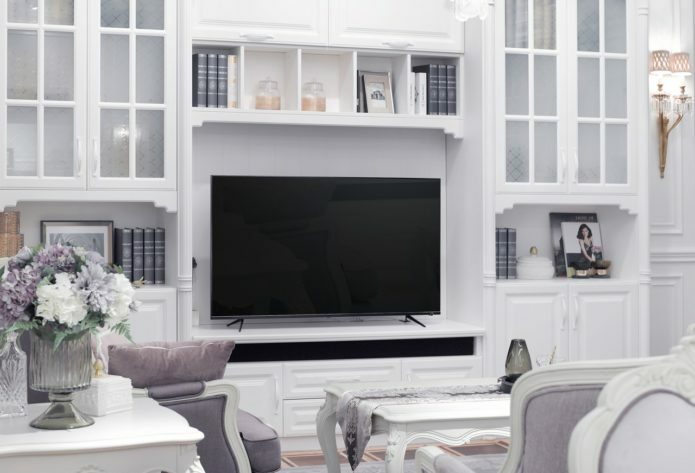 The TV excels with bright, colorful content and delivers punchy color especially with animated movies and such, though it’s not as vibrant as more expensive OLED TV sets from more premium brands like Samsung or LG. Then again, you’re not paying as much money for a similarly sized 4K TV – it’s a fair tradeoff. Long story short, the P6 has a bit of trouble when it comes to content that has a lot of dark scenes in it as it struggles a bit with contrast, but for the price it’s not that big of an issue. How’s the rest of the TV? Navigation using the remote is easy, though we wish it was backlit so it would be easier to operate in a darkened room. Navigation through the interface was pretty straightforward without complicated menus to slow you down. The TV has downward-firing integrated speakers with Dolby Digital audio. They sound good, though they suffer a little bit with higher volumes. Absolutely. A 4K TV this huge with this many features typically retail way higher than its Php 77,795 asking price. If you feel that’s a little over your budget, going down a few inches to the 55-inch model brings the price down considerably to Php 48,895. You’re still getting most, if not all of the features in the 65-inch model, but you’re saving money and space.